Thirteen days until the start of the UK domestic football season, thirty-two days until the start of the American Football season. I also happens to be 32 days until our holiday in Cornwall, and 137 days until we go to Mexico. So until then I am enjoying Birmingham! It’s a “grey tower-block on the side of the M6” and “well, there’s Manchester – so what’s the point in Birmingham?”… Both of these quotes came from a friend at university, and I had to leave the room shortly after for fear of scratching her stupid London eyes out. I love this city and I’ll defend it to the ends of the earth. I’ve added a new page for First and Ten, my experience of this city. Have a little look. 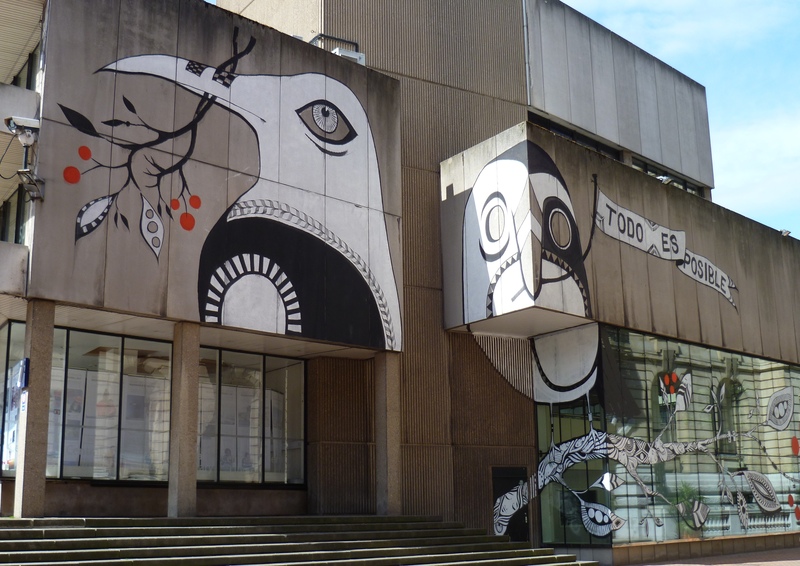 This entry was posted in Life, Love and Football and tagged birmingham, birmingham central library, lucy mclauchlan, todo es posible. Bookmark the permalink. ← What does Ryanair, the Olympics and Dallas Cowboys have in common?